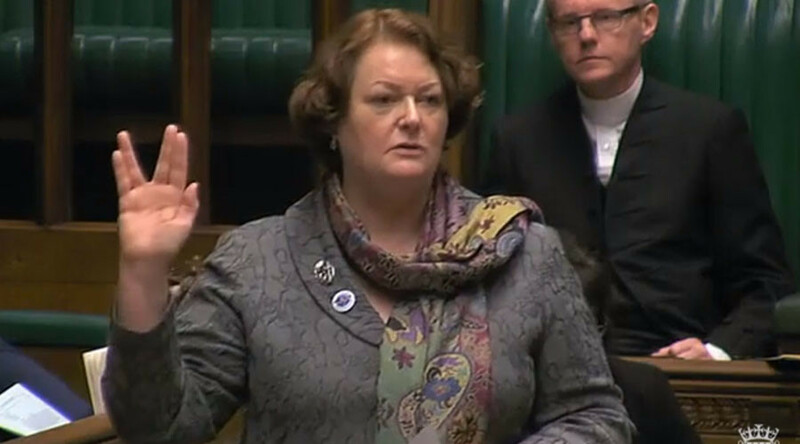 SNP MP Philippa Whitford gave the House of Commons a Vulcan salute on Friday in an effort to beam Britain’s spaceport up to Scotland. Whitford’s nod to Star Trek came as William Shatner and George Takei, two stars of the original sci-fi TV series, backed the Scottish Nationalists’ bid to establish Europe’s first spaceport in the UK north of the border. The MP led the debate on the issue in the UK parliament, during which she made the case for a spaceport to be built in her constituency of Central Ayrshire. She added: “That is something we have to change. We need to believe what we can do. I think Major Tim Peake’s mission will achieve that. This is a real industry, not the ‘Beam me up, Scotty’ or fretting about the dilithium crystals that we see on the telly, but a multibillion-pound industry. Whitford signed off with the Vulcan salute, a hand gesture associated with the character Mr Spock from the original Star Trek. Star Trek star George Takei, who played Lieutenant Sulu in the series, tweeted his support for the SNP’s debate. William Shatner, the legendary Captain James T Kirk in the 1960s series, went one step further – issuing a statement that was read out in parliament. “Space is one of the last known frontiers mostly untouched by mankind and his politics,” Shatner said in his address to MPs. The Department for Transport is developing a technical specification of spaceport requirements before it opens up to proposals from companies. SNP members, such as Patrick Grady MP, have touted Scotland as the ideal location for the UK’s first spaceport. “The building and operation of a spaceport in Scotland would bring investment and jobs to the local area and likely attract further space industry organizations and companies in the long term,” he said.